Mycology Reference Book from C.H.I.P.S. Since the publication of the best-selling first edition, much has been discovered about Saccharomyces cerevisiae, the single-celled fungus commonly known as baker's yeast or brewer's yeast that is the basis for much of our understanding of the molecular and cellular biology of eukaryotes. This wealth of new research data demands our attention and requires a reference that updates our current knowledge. 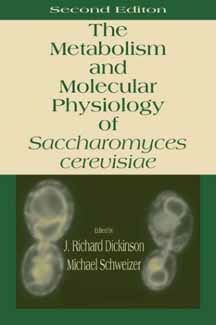 Completely rewritten, updated, and expanded, Metabolism and Molecular Physiology of Saccharomyces cerevisiae, 2nd Edition provides a modern account of the metabolism and physiology of this important organism. All chapters have been thoroughly revised, and two new chapters on ageing and on the molecular organization and biogenesis of the cell wall have been added to highlight new areas of research. The book also includes coverage of morphogenesis, protein trafficking, lipids and membranes, and stress responses. Written by a team of internationally recognized experts, this authoritative second edition is a leading an important reference for bioscientists across many disciplines, as well as novices interested in the latest developments in this complex field.